Note: The following question is for Blind Candidates only in lieu of Q. No. 12. Explain the contribution of Lokmanya Bal Gangadhar Tilak in the Indian Freedom Movement. Q.15	Distinguish between ‘dry land farming and ‘wet land farming’ by stating four points. (19.1)	Which two States have the largest number of cotton textile centres? 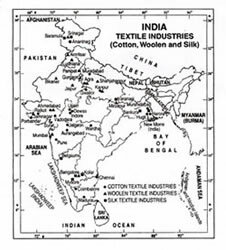 (19.2)	Give two reasons for the development of cotton textile industry in these States. Explain the developments which led to the launching of Non-Cooperation Movement. Why did this movement fail? Describe any six common ways in which consumers are exploited by manufacturers and traders. What is rainwater harvesting? Explain five objectives of rainwater harvesting. Note:	The following question is for the Blind Candidates only in lieu of Q. No. 24 (a and b).